Buzz off Ticks and Mosquitos! Summertime is quickly approaching and we all know what that means – warmer weather, longer days and of course, bug bites. While protecting yourself from insects like mosquitos, fleas and ticks are always important, this time of year is especially important. Why? Because illnesses from mosquitos, ticks, and fleas, are on the rise. In fact, the CDC has reported that these diseases have tripled nationwide since 2004, which brings the 13-year grand total to just over 640,000 cases. The good news is, you can prevent bites by taking some cautionary steps. As we transition from flu season to bite season, we’ve compiled some of the most common illnesses to look for as well as ways to protect yourself and your loved ones from these annoying critters. In North Carolina, flea-borne illnesses are not typically found, so we’ll mainly focus on mosquito and tick risks. While these two bugs carry illness, it’s important to know that they’re unique to the insect and can present themselves in different ways. West Nile Virus: Spread by an infected mosquito, West Nile Virus commonly does not present any symptoms and people recover quickly. However, sometimes the illness becomes severe and impacts the central nervous system. When this happens, symptoms include vision loss, paralysis, high fever, and headaches Those older than 60 have a greater risk of developing the severe form of the disease. La Crosse encephalitis: Like West Nile Virus, this disease typically does not include any symptoms. For those that do become ill, symptoms include fever, headache, nausea, vomiting, and tiredness. Occasionally the disease will become severe and will impact the nervous system, causing seizures and paralysis. This is more common in children under the age of 16, but on average only 70 cases are reported each year in the US. Rocky Mountain Spotted Fever: This is the most serious tick-borne illness, and typically presents itself through vomiting, a high fever, headache, abdominal pain, muscle aches and a rash on your wrists, palms, ankles, and feet. 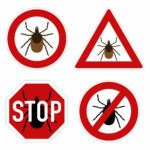 Symptoms normally appear between 2 and 14 days after being bit by the infected tick. Lyme Disease: Another common tick-borne illness, this disease typically presents itself first with a rash that resembles a bull’s eye. After that, common symptoms include fever, headache, body aches, stiff neck, and fatigue. If left untreated, Lyme disease can cause serious complications including facial paralysis, arthritis, and inflammation of the brain and spinal cord. If you expect that you or someone you know has any of the above illnesses, consult your physician immediately. Early treatment is key to preventing long-term complications. Fortunately, repelling these pests is easy, if you know what to do. Eliminate Standing Water: Mosquitos lay eggs near water, so dump out any bird baths, buckets, flower pots or trash containers once a week to avoid excess mosquitos. Wear Light Colors: Mosquitos choose their target based on what stands out from their surroundings, light-colored clothing does not stand out as much as dark-colored clothing. Use Fans: Any kind of breeze makes it difficult for mosquitos to fly, by placing fans close to the ground you can block mosquitos from reaching you. 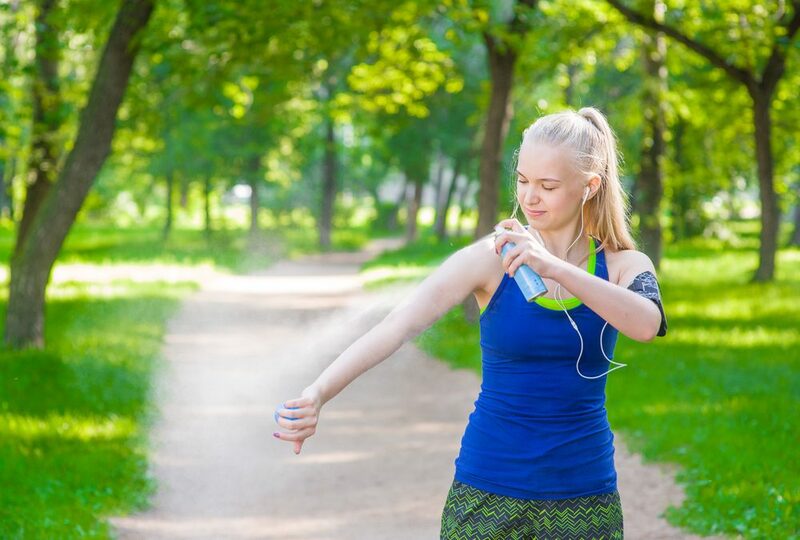 Use Insect Repellant: The EPA’s list of repellents can protect against mosquitos and ticks. Their most recommended repellants include DEET, Picaridin, Oil of Lemon Eucalyptus and IR3535. Make sure you’re using a bug spray with one of these active ingredients. Cover Up: Yes, it’s hot, but wearing long-sleeved shirts, long pants and socks prevent mosquitos and ticks from being able to bite your exposed skin. Perform Tick Checks: When you come inside, immediately check your whole body for ticks, including your scalp. Follow the CDC’s instructions for removing ticks if you find one. Yes, ticks and mosquitos are annoying, but they shouldn’t prevent you from enjoying the warm weather. Being aware of the potential illnesses being carried and knowing how to prevent bites is the best line of defense.